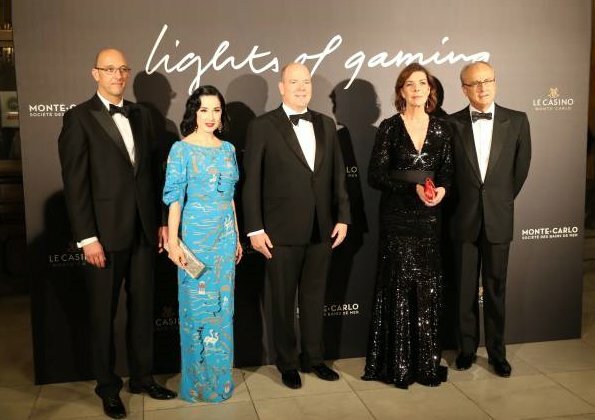 On October 19, 2018, Prince Albert II of Monaco and Princess Caroline of Hanover attended the 'Lights Of Gaming' Gala Dinner in casino of Monte-Carlo in Monaco. This is classic Princess Caroline brand of elegance. She looks wonderful. 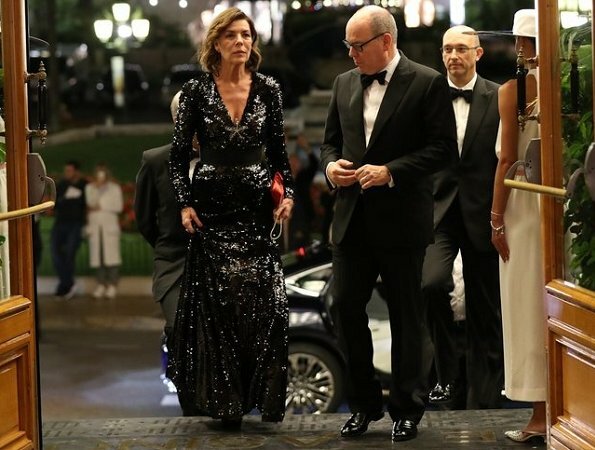 This dress is beautiful, but black on Caroline makes her look...tired? Dita is spectacular and I like Albert's new glasses. The hat of the person handing over the flowers to Caroline looks lethal. 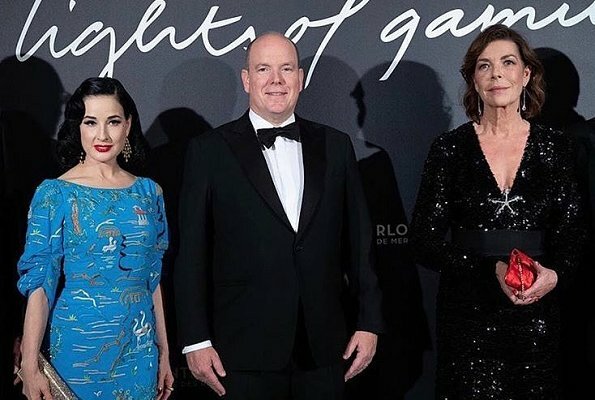 Dita is always a Highlight! Nice dress on Pss Caroline. Both Ladies look great. She looks beautiful, wonderful. And fuller on top. Maybe she had some work done.